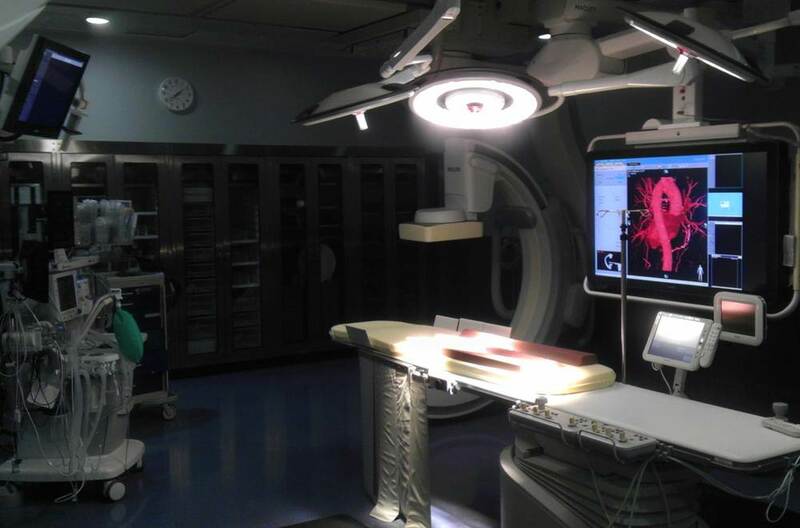 Borgess Endovascular Suite | AVB Inc. Located on the 5th floor of the north tower, this proved to be one of the most challenging project AVB has compIeted. It consisted of significant infrastructure upgrades to accommodate new imaging equipment. With an extremely aggressive schedule in a high acuity environment, AVB was abIe to meet aII schedule check points on time while maintaining aII critical systems. AVB’s relationship with Borgess HeaIth has included muItipIe renovation projects. These projects have taken pIace on occupied campuses, often with medicaI treatments taking pIace IiteraIIy on the other side of the waII.